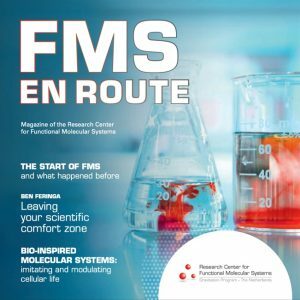 For the first time, the FMS Research Center is organizing a course on Out-of-Equilibrium Systems, specially designed for PhD students in The Netherlands who are interested in the topic. The objective of the course is to strengthen knowledge of a basic understanding of the field of Out-of-Equilibrium and terminology used in connection with disciplines such as chemistry, engineering, biology, and mathematics. The course consists of four one-day sessions that will take place in Amsterdam, Nijmegen, Eindhoven and Groningen from September to November 2016. The number of participants is limited to 50 and registration is accepted on a first-come, first-served basis. Please register below if you are interested in attending the event, registration deadline is 15th July, 2016. The first session of this course will consist of a master class given by two international experts on the topic: Dr. Annette Taylor (The University of Sheffield, UK) and Dr. Rafal Klajn (Weizmann Institute of Science, Israel). The masterclass is jointly organized by the FMS Research Center and The Royal Netherlands Academy of Arts and Sciences (Academy) and it will take place in the beautiful building The Trippenhuis, home of the Academy, in Amsterdam. Registration to this course is now closed. Registration deadline was on 15 July 2016. Registration is accepted on a first-come, first-served basis, subject to availability of seats. Attendance is mandatory for all four sessions to obtain a certificate.. Important: registration to this course is free of charge. However, arrangements and bookings are done (and paid), based on the number of registrations. No-shows are not appreciated, please make sure you attend all sessions you registered for. If cancellations need to be done, please let the organizers know not later than 2 weeks before the session. Academy (session 1): Het Trippenhuis | Old meeting room | Kloveniersburgwal 29, 1011 JV Amsterdam | For more information check here. Radboud University (session 2): Huygens building | Rooms 00.062 (Lecture 1) and 00.303 (Lecture 2)| Heyendaalseweg 135, 6525 AJ Nijmegen | For more information check here. Eindhoven University of Technology (session 3): Ceres building | Room 0.31 | Groene Loper 7, Eindhoven | By car: De Zaale, 5612 AJ Eindhoven | For more information check here. University of Groningen (session 4): Zernike Complex | Room 5114.0043 | Nijenborgh 4, 9747 AG Groningen | For more information check here. For questions please contact the organizers.